Click a link. Buy a gift. That’s not unusual during online holiday shopping. But what is different about this year, however, is that shopping is now being done natively in the social media landscape. Yes, social media and e-commerce are now working hand-in-hand for the 2018 holiday season. 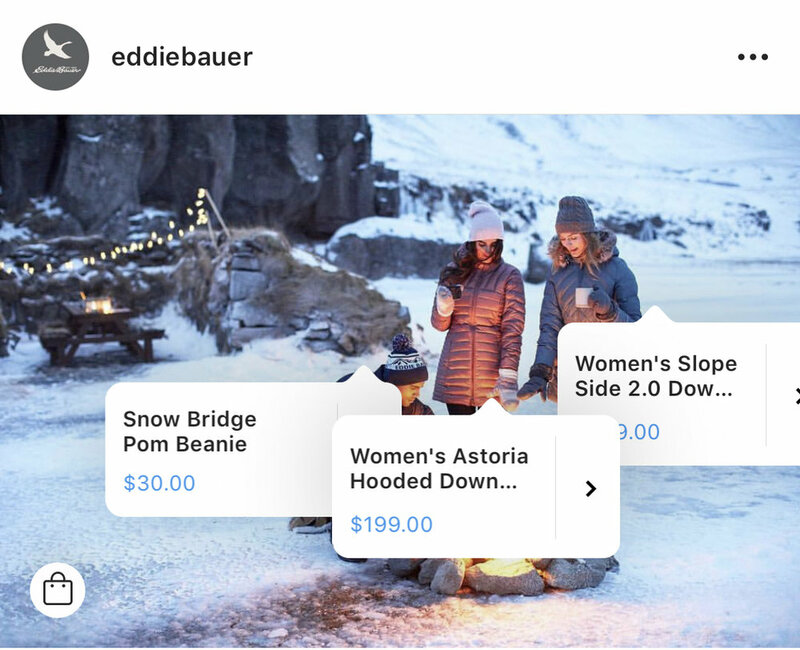 For apparel companies like Eddie Bauer, every Instagram post becomes a shopping cart. What are they wearing? How much is it? Can’t buy now? Don’t worry – that post becomes a Wish List. Because you can now save the item to the new ‘Shopping’ collection under your saved posts (admittedly, a feature I’ve rarely used). And it’s not just Instagram. Pinterest is now featuring Product Pins, giving you the price and inventory county of a particular item. Even Snapchat is getting in on all the fun through its newest Discovery page and partnership with Shopify, Shop and Cop, a dedicated shopping channel on Snapchat. The best part? You don’t have to leave the app to make a purchase. Facebook Marketplace has existed for quite some time, but have you noticed that you’re seeing more posts from brands? As a business you can now serve up your product ads in Facebook Marketplace, which means you get in front of people who are in the shopping mindset.